We saw the America's Food Basket in Worcester last month. 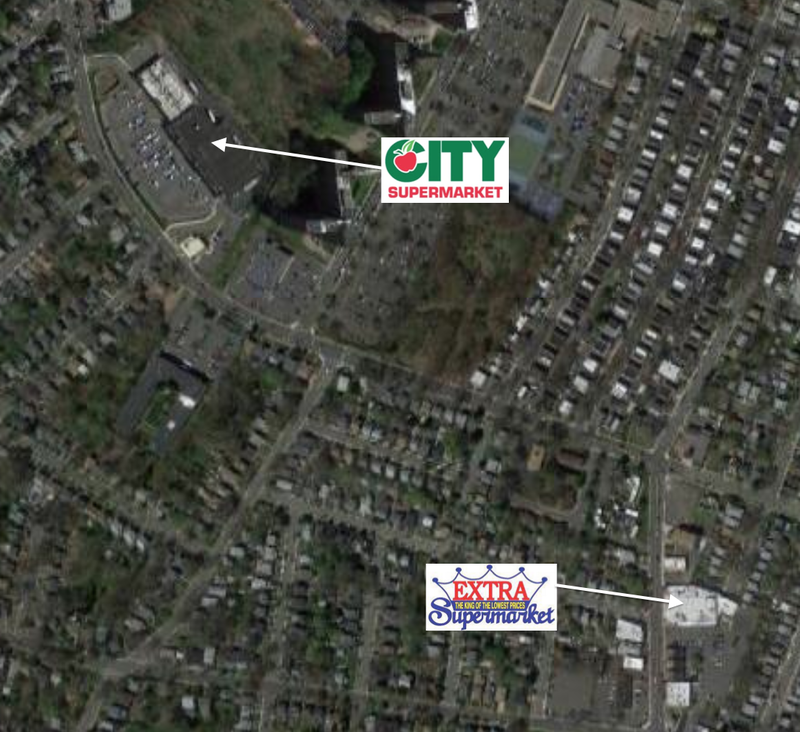 AFB is the far smaller of the two urban/ethnic-based stores in downtown Worcester, the other being this Compare Foods. This Compare Foods is actually enormous inside. It looks like a good size from the outside, but it goes way back. You enter at the far end of the storefront and checkouts run along that side wall. Deli/bakery/hot food are where the windows are, and produce is in the front corner where the black SUV is. Meat runs along the right-side wall and aisles run perpendicular to the street. Inside is a full restaurant with hot food, seating, and sandwiches, a pharmacy (unusual in these smaller ethnic stores), a cell-phone retailer, a money-order counter, a clothing and accessories retailer, and of course, a full grocery selection. It was quite impressive, and clearly well cared-for by management. But the best thing about the store? The tres leches cake from the bakery department. For only $2.25 you get a generous slice of some of the most delicious cake you're ever going to taste in your life. Yes. If you're ever in or around Worcester, MA, you have to get the tres leches cake from the bakery. And by the way, posting on the Facebook page will happen, going forward, on Tuesdays and Thursdays, with some cool exclusive content that isn't on the blog -- including previews of the store tours! 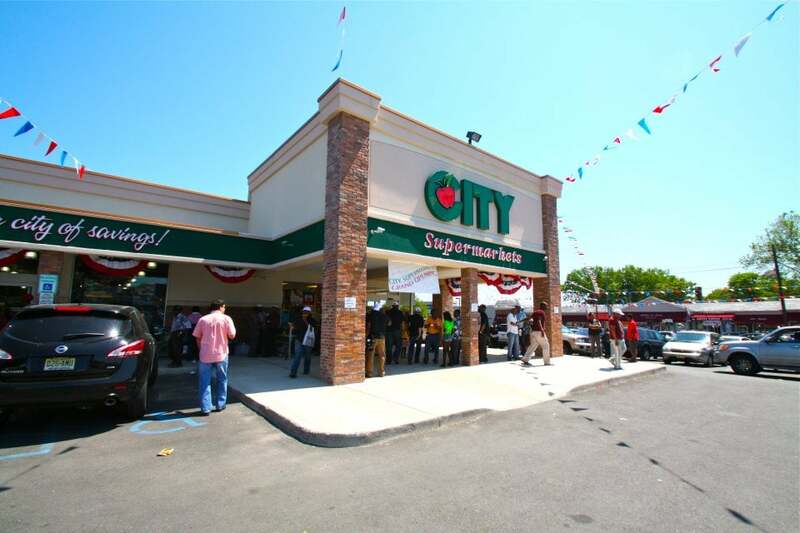 Often when a developer announces a project that will "transform" an urban neighborhood by building a supermarket, I'm suspicious of their claims. I'm sure the supermarket will be built, and will do fine, but I don't know how much it will actually transform the neighborhood. 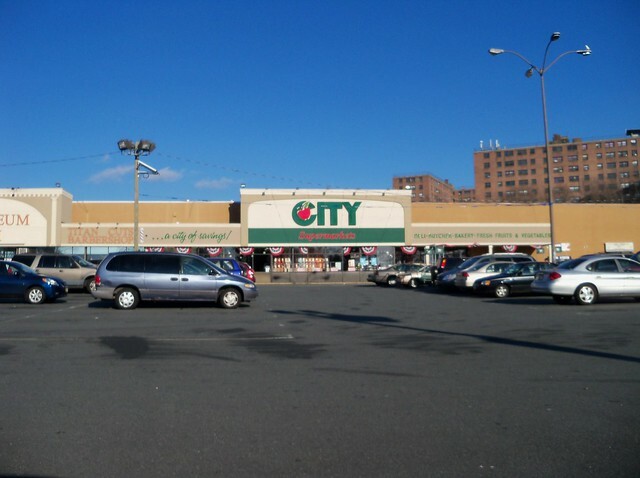 The Springfield Avenue Marketplace in Newark was one of these projects. However, I think it's ultimately more successful than most of the projects like this that have been built in this area recently. This project, announced in 2012 and completed in 2015, is a multi-use complex including retail and residential space. It has a strong anchor -- a ShopRite. ShopRite long ago had store(s?) in Newark and a warehouse there, but left as the city started to go downhill. The Newark Riots of 1967, caused by resentment of a largely black population against the largely white government and police force, devastated much of the city, and only very recently have some neighborhoods fully recovered. This ShopRite was a great addition to the neighborhood because it's a store that will actually be used by the neighborhood, not just the few people with more money living in the apartments immediately surrounding it. It's also one of the nicest ShopRites in the area. Ignoring the many NO PHOTOGRAPHY WITHOUT PRIOR PERMISSION FROM MANAGEMENT signs along the front and at the entrance, I was able to get a great tour of this store. It was very crowded the day I visited but the store didn't feel overly cramped. Before we head in, here's an emergency plan of the store to give you an idea of the layout. What's interesting about this store is that it's very large (roughly 70,000 square feet), but it's almost a perfect square. The aisles are quite long -- maybe a little too long -- and there are fewer of them than in most big stores. You walk into produce (bottom right) with a huge prepared foods department in the corner, then deli along the side wall. Bakery is in the back right corner (top right on the layout plan), and meat/seafood are along the back wall. Pharmacy is actually in an island in the first aisle. You enter to a large and very spacious grand aisle. Here we're in the front of the produce department looking towards the back. Floral and prepared foods are in the front corner. The entrance is behind the floral wall. This store's prepared foods departments is one of the nicest around. All the wall decor is fantastic as well, because it's all 3-D and some of it even lights up. It's very contemporary without being overly cartoony. Pizza looked pretty good, too! Prepared foods looking back towards bakery. AeroFarms is a Newark-based urban indoor grower, so this is REALLY local! According to their website, AeroFarms uses 95% less water than traditional field farming and produces yields 130 times higher than traditional farming. Their Newark facility is the largest indoor vertical farm in the world. Pretty cool! Mural on the wall above the produce cases, one of two in this store. The pharmacy and grocery aisles are actually on the other side of this wall. Bakery department in the back corner. If anyone likes donuts as much as I do, you have to get a Boston Cream donut from this store. The Newark ShopRite (and its sister store in Bloomfield) have easily the best supermarket donuts in northern New Jersey. Great wall graphics again, designed by Broden Design Group of Denville, NJ. The first two aisles are HABA. The pharmacy is in the front here. We're looking towards checkouts straight ahead here. This store features Wakefern's new (and beautiful) backlit HABA shelving, as shown here. And how many supermarkets do you know of with an in-house Beauty Advisor? This store also offers free dietitian services. Beautiful grocery shelving as well. The ceilings are really high, which makes the store feel enormous. Seafood, with bakery to the right and meats just to the left here. Notice the Halal meats also. Nice aisle markers, because they tie into the urban/industrial theme of the rest of the store, but they're also easy to read. Looking along the back wall towards dairy (the last aisle) with meats to the right. The even more wide-open dairy aisle. (More frozen foods are along the left side and dairy is along the right wall.) The windows above the cases let in a lot of light, as do the skylights. Along the top of the dairy cases are more pictures and graphics, including photos of the dairy farm Wakefern gets its products from, Readington Farms. Above the checkouts on the second floor is a community room, which local nonprofits can sign up to use for free to meet in. The second mural in the store runs along the wall above the checkouts. 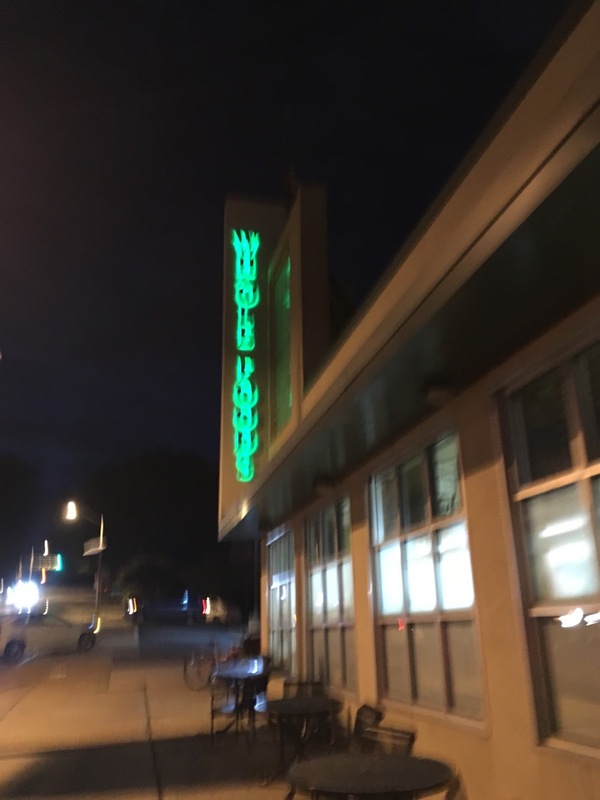 This is interesting: on my first visit here, almost immediately after they opened, the checkout lane signs were brown with white lettering, and they didn't light up. Since then, those have been replaced with white ones that do. It was hard to tell before which lanes were open and which weren't. The Newark ShopRite is one of the best supermarkets in Essex County if you ask me. It's beautiful, clean, and clearly very well-used (and well-loved) by the community. Definitely one you should check out if you haven't yet! Food Fair Supermarkets is now a part of Key Food! While they seem to have retained their independent ownership, they are now supplied by Key Food and are listed on the KF website. See it for yourself at keyfood.com!